Go cashless this month and stand the chance of winning an iPad Air from UBA this December. UBA has announced incentives to encourage the bank’s customers who go cashless in December. It is the bank’s own version of getting customers to adopt a modern shopping trend. The timing of the incentives is strategic considering this is the time of the year when many people tend to shop heavily and are forced to carry around significant amounts of cash. UBA is saying this is not ideal as carrying around cash exposes individuals to significant risks especially armed robbery. “Going cashless during this festive period is not only the convenient way to shop this season, but it also enhances your personal safety and protects your hard earned money” says Dr. Yinka Adedeji, Divisional Head, e-banking. The bank says going cashless means customers abstaining from all forms of cash transactions including withdrawing cash from ATMs and adopting POS as well as mobile and internet banking platforms to pay for all their shopping needs in the month of December. UBA has a highly secured mobile platform, U-Mobile, which enables customers carry out about 90 per cent of all their regular banking transactions on their phones. 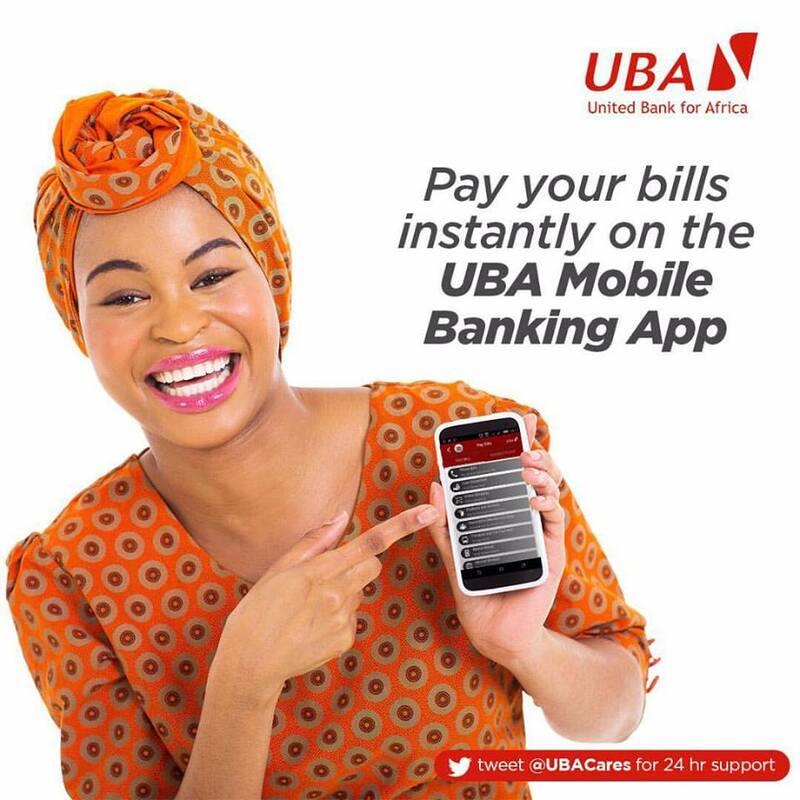 With UBA U-Mobile, customers can transfer funds from one account to another in the same bank or from their UBA account to any other bank’s account. Customers can also pay for different bills, including air time top-up, DSTV subscription, buy local and international tickets or transfer funds to loved ones for the festive season. UBA also has U-Direct, an internet banking platform that enables customers do most of their transactions from a desk top computer, laptop or tablet anywhere they are, anytime of the day, seven days of the week. UBA, one of the largest Issuers of payment cards in Africa, offers cards for every segment of the market from MasterCard, Verve and Visa. The Bank also has the Prepaid Card for Banked and Unbanked Customers and the personalized All-About-U Card which allows Customers put their favourite pictures on their Debit Cards. UBA is urging its customers to take advantage of all these offerings to carry out cashless transactions during the festive season. To encourage customers to adopt the cashless option for their transactions, customers that carry out the most cashless transactions in December will be rewarded with different prizes including the new iPad Air, Samsung Galaxy S4, Blackberry Q5, Techno Phantom A1 and Infinix Race Bolt X450. The higher the amount and quantity of cashless transactions carried out by a customer, the better the reward the customer stands to get. Sellers or Merchants of goods and services who also encourage their customers to pay for their goods or services with UBA cards or through U-Mobile or U-Direct also stand to benefit from different reward systems put in place by the bank including; an iPad Air, reserved for the merchant that is able to attract the most cashless transactions. To ensure security for Customers during the festive season, UBA has put in place world-class security systems for round the clock transaction monitoring. Not a bad idea.Absolutely great!